I’m thinking about working on another edit. I need someone who could make a crawl for me. I know there are some tutorials about blender, but I don’t have it, and crawls made with Sony Vegas look like crap. Is there anyone here who could make one? 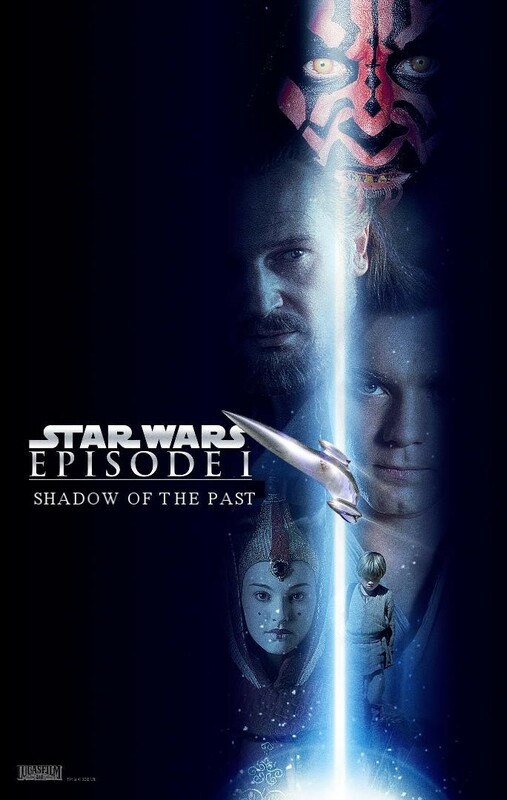 Just a suggestion to return to the process of making the audience believe Anakin is dead. I was thinking about not making Obi Wan kill Grievous and move the Grievous-Palpatine hologram scene towards the end of the movie. When Grievous says “But the loss of Count Dooku…”, it could be changed with “But the loss of Anakin Skywalker…” (taken from the beginning, aboard the separatist ship). And then Palpatine says what we know: “His death was a necessary loss. Soon I will have a new apprentice, one far more powerful”. It could enhance the belief that Anakin is really dead, and that Darth Vader will be Palpy’s new apprentice. Of course you would have to make Grievous survive, but sill. The whole problem is with Obi Wan in ANH. A young JEDI named Darth Vader, he was a PUPIL of mine before he turned to evil, helped the empire hunt down and destroy the Jedi Knights. He betrayed and murdered YOUR FATHER. No edit can remove Anakin falling to the Dark Side. It is impossible. So we KNOW that Anakin has fallen. We need to hide the fact that he was Obi Wan’s apprentice, we need to make people think that he is not Luke’s father, we need to make the audience believe that Darth Vader is someone else. Some of these have already been told. Remove any mention of “Skywalker”. Remove Anakin calling Obi Wan “Master”. Remove Luke and Leia’s birth. Obi Wan gives Luke Anakin’s lightsaber. Luke is on the same planet Anakin was. I struggled so much with trying to keep all the plot twists in my first ROTS edit, especially becuase of Obi Wan’s line in ANH. Could I get a link for this, please? Again, I didn’t act on audio. It’s just to show a different cut. It’s not a miracle edit, but I’ll upload it on vimeo. Here is another test made by different suggetions. I didn’t add any music tracks, so don’t take the audio track as definitive. The sounds are entirely unfinished, as I haven’t really isolated the dialogue or completed the saber sound effects. This is a proof of concept more than anything. I like it. The only problem of course is that they constantly change location from one shot to another. I think we should put other scenes between different parts of the duel. If we don’t want Yoda going to Palpy, though, it’s really complicated, because apart from Yoda meditating we don’t have other scenes that could happen during the duel on Mustafar. I like the music and the sound effects. PS: Or we could… I don’t know, maybe add some dissolve effect between different parts of the duel. If done well, it could show the passing of time. Someone asked about cutting down some Mustafar stuff. I tried this, to remove the over the top fight parts from Obi Wan and Anakin’s duel. Just some different cut and a music track in the end. It doesn’t feel like SW, but I like it. It feels like SW and it is fantastic!! My only gripe is that the music covers the voices at the tail end of the Anakin duel. I don’t mind the music that much, although it’s very not Star Wars, as others have pointed out. It’s better than the original fight IMO, but I was hoping there was a way to do it without reinserting the Yoda v Sidious fight. It’s probably not possible to do it that way, though. I didn’t understand what you meant about cutting the whole Yoda/Palpy duel. Maybe we could entirely cut that by showing Yoda on the asteroid meditating. With some montage it could look like he is mentally watching Obi wan and Anakin’s duel. I tried this, to remove the over the top fight parts from Obi Wan and Anakin’s duel. I just remembered some facts: the man who dubbed Palpatine is the same of Gollum and professor Snape. He is amazing. One of the best alive we have. And Anakin’s dubber is the “official” italian voice of Di Caprio (almost every movie), Jesse Pinkman, Sherlock Holmes, Ramsay Bolton. Obi Wan’s voice also dubbed Cumberbatch (just like Anakin’s dubber) in Dr.Strange, and most of Matt Damon’s movies. 3PO’s voice is the voice of Seth McFarlane in both movies and Family Guy. Last but not least, a pretty minor voice like Kid-Adi-Mundi is one of the best classic voices we had. He is the voice of: Gandalf, Dumbledore, Zeus in Hercules, many Michael Gambon and Christopher Plummer and Max Von Sydow’s movies. A really charming voice. If you manage to obtain it you could use a less known dub track. Or you could continue with this one. The new subtitle is what matters. Yeah, cause Italian, even if it’s the most direct evolution of Latin (I studied this one for 6 years), is the modernization of ancient Florentine/Tuscan dialect. Every region of Italy developed its own vulgar version of Latin. So of course many many names and words change a little bit. Res Publica (literally, “public thing”) becomes Repubblica or Republic. Imperium (not a form of state, but a specific kind of power) becomes Impero or Empire.